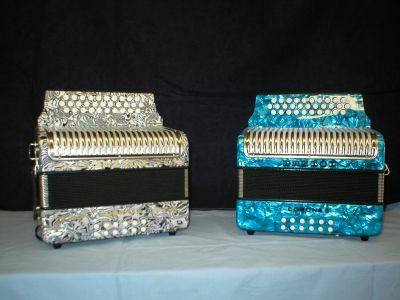 Ask about our assortment of colors, including "Fantasy" and "Pearl White" pictured below! 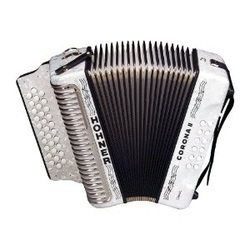 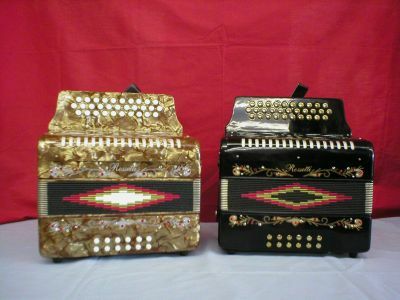 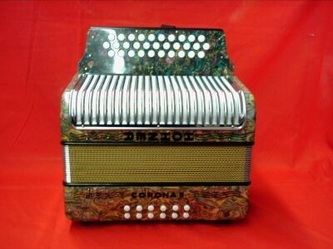 All Hohner Corona II Classic accordions come with strap and gig bag. 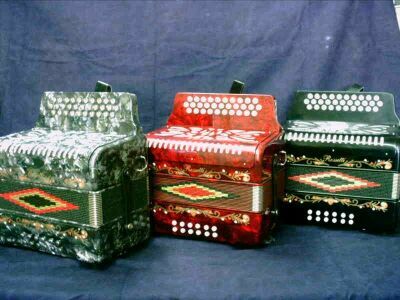 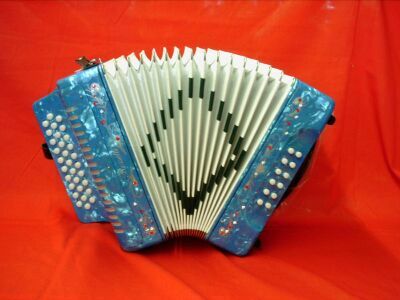 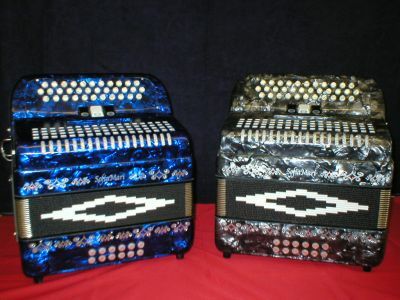 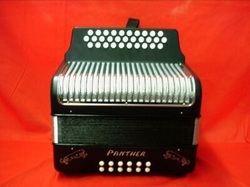 Hohner's affordable new Panther accordion shares many of the same quality features as other Hohner three-row diatonic accordions. Available in a variety of colors. Contact us for availability! This video from conjunto master Joe Torres will get you going on the accordion in no time! 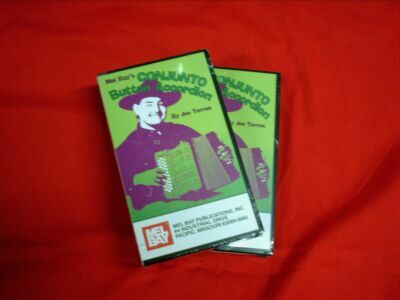 We also feature other great teaching videos in Spanish!